Hello, and it's that time where I try to squeeze in another edition of this Railwaymedia blog before the month is over. Since I started writing these two and a half years ago the blogs themselves appear to have got longer and longer corresponding to the increasing length of time between myself getting round to writing each one. This one actually should be retitled the 'Busmedia' blog as there is very little railway related this month, for various reasons, but I'll try to squeeze in what I can. I like having time off work at the beginning of September as not only have the kids gone back to school but also the weather tends to perk up, as indeed it did again this year. I ended up with two consecutive weeks off work, although I only found out about the first a few days before (note to self to read diary properly). I decided to have a couple of days out each week, though the first week my wings were quickly clipped as one of my daughters caught a virus so had to be off school. I managed the odd few hours out most days, but was confined to visiting my 'local' pub and getting a few bus pictures from the area. I really have got bored with the railway scene through Preston at the moment, although I must try to get a picture of one of DRS's new Class 68 locos at some point! 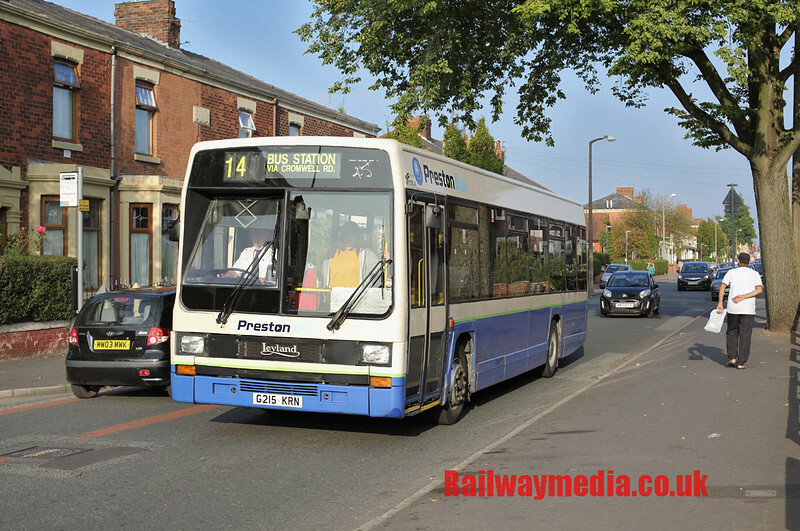 One of my targets for a photograph was the bus above, Preston Bus's sole remaining Leyland Lynx, in fact possibly the last remaining example in the country still in regular service with its original operator. It is required for a school contract but also does a trip on route 14 after that. In other news, my local bus route has received new buses this month for the first time in 10 years. I'll not subject you to a picture of these boring Enviro buses but if you are really interested they look like THIS. My one full day out that first week was to Kent and East Sussex. As mentioned in the previous blog Stagecoach in the area is still running round some older vehicles, not many, but in larger quantities than in most of the rest of Britain, so I had wanted to do another trip to that region. Fridays are normally my preferred day for long trips down south as the train is quieter going to London in a morning plus I can get a slightly later train back from Euston and still be able to catch a bus home. With good weather forecast Friday ideal for me, unfortunately with my other aim was to visit the Romney, Hythe and Dymchurch Railway I found they, like many of the preserved railways in the area, seem to run a reduced service on a Friday for some reason, so (and this is a common theme this month) despite my best intentions I ended up having to concentrate just on the buses. The RH&DR now has to be another place to put on my list of trips out for next summer. There were two exceptions this particular day, first was the picture above at Rye which I had wanted to get for some time. Even here though I was thwarted a bit by conditions, low sun, lots of shadows, lack of sails on the windmill to name but three. Certainly the resulting picture was nowhere near what I wanted. 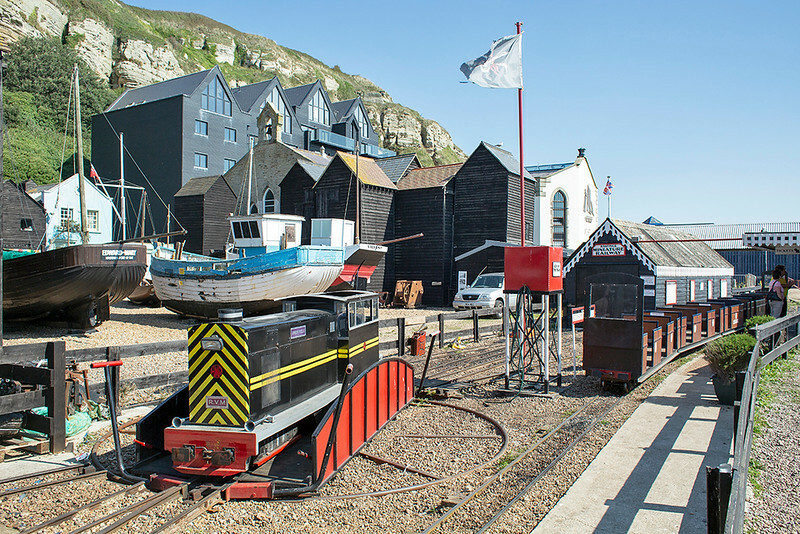 The other was the Hastings Minature Railway which I spotted when I was entering the town on the bus. A short railway of maybe half a mile long at most running at the eastern end of the town near the cliff railway; £22 for a family day rover seems a bit expensive to me. The following week I decided to make the most of being able to get out and about starting with a Monday trip to Oxford. 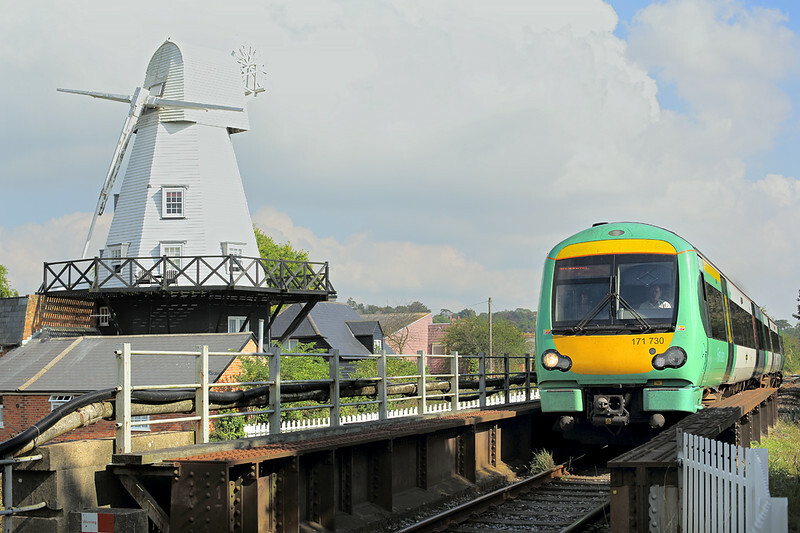 The plan was to visit a couple of pubs and photograph buses until just after dinner then move on to the excellent location of Kings Sutton for an afternoon of proper Railway Photography. Again, that was the intention but with everything going well approaching Banbury about 1000 on the train we came to a stand and sat there for four and a half hours because some bloke had decided to climb up a signal gantry on the station and refused to come down. So it was three o'clock in the afternoon before I got to Oxford and any thought of going to Kings Sutton had gone out the window; mind you the weather wasn't as good as had been forecast anyway. 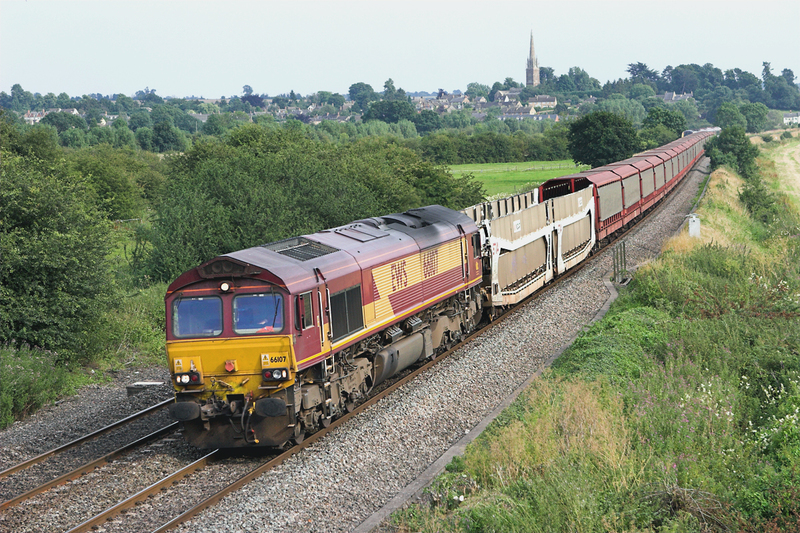 Kings Sutton: yet another place to go on my list for next summers trips out, although as Class 68s will be operating Chiltern's loco-hauled services by then I will need visit for those anyway. As I'm getting old I can't really manage two long day trips consecutively so the following day I went for a shorter Wetherspoons related trip to the Potteries to visit two fairly newly opened branches (Cheadle and Leek) which aren't the easiest to reach. 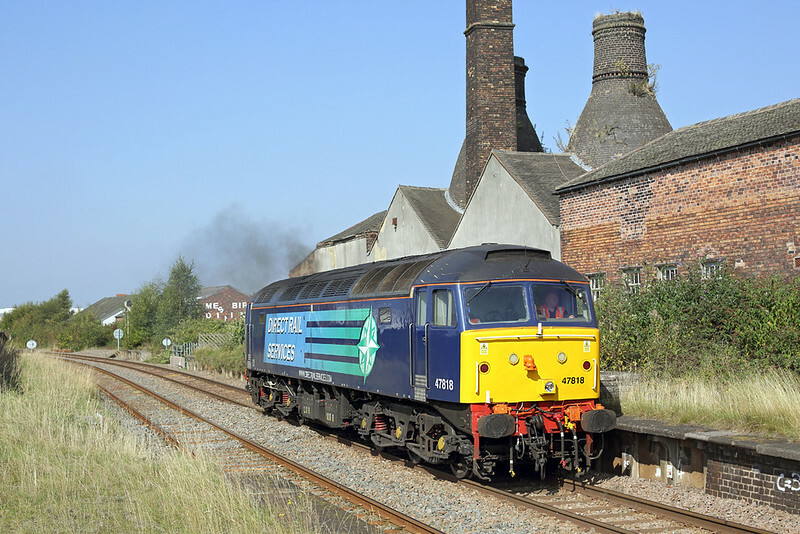 I had worked out a plan of attack by using Arriva's subsidiary Wardle Transport, the only operator serving the two direct and enabling a round trip starting at Longton. 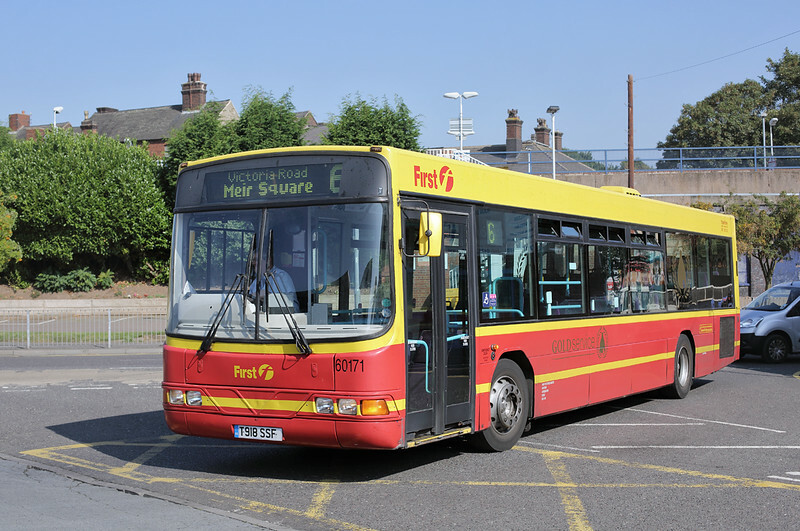 As the train didn't connect with the bus (no surprise there) I had an hours photography at the bus station, the bus pictured above is one of the few left in the former operator PMT's colours that First Group repainted serveral years ago. Whilst I was waiting there was a Crewe to Derby light engine working due past. I was hoping for a 68 but it was 47818 that turned up, with a nice spurt of clag, which provided by far the nicest railway picture of the month. Two more trips to go for the week: the big one was to North Norfolk, purely for buses, to get some pictures of Norfolk Green which was purchased by Stagecoach a year or so back. 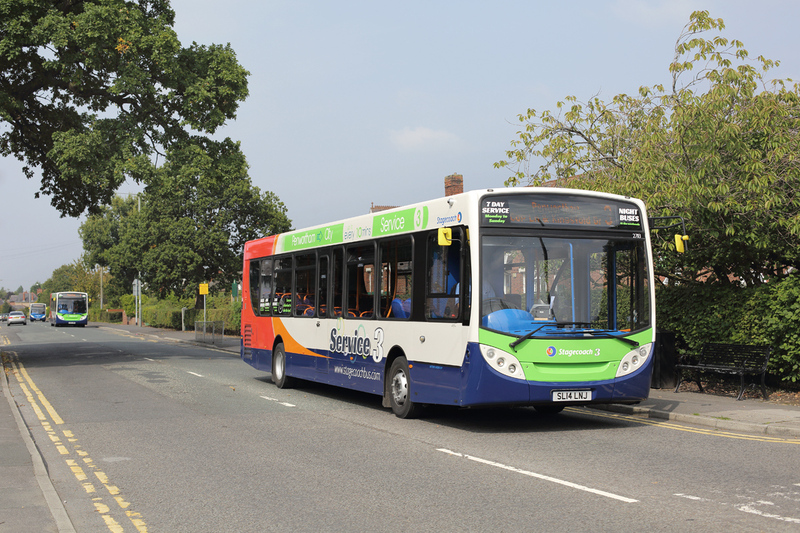 Unusually for Stagecoach they are retaining the name and livery as it has a strong local identity and following. Rather than just doss around Kings Lynn all day, as nice as the town is (or at least the old town nearer the river), I decided to use the day to visit the coast. Being well off the railway map since Beeching days it isn't an area I have ever visited. Hunstanton is the only East Coast seaside resort that faces west, due to it being on east side of the Wash. It used to have a railway of course, this ten minute long CLIP of John Betjeman visiting the line has long been a favourite of mine. I stayed on the bus to the next resort to the east, Wells-Next-The-Sea. More of a working harbour than a resort I suppose, but also fairly unusual as it is a mile inland, the harbour being at the end of an inlet through the low lying land. 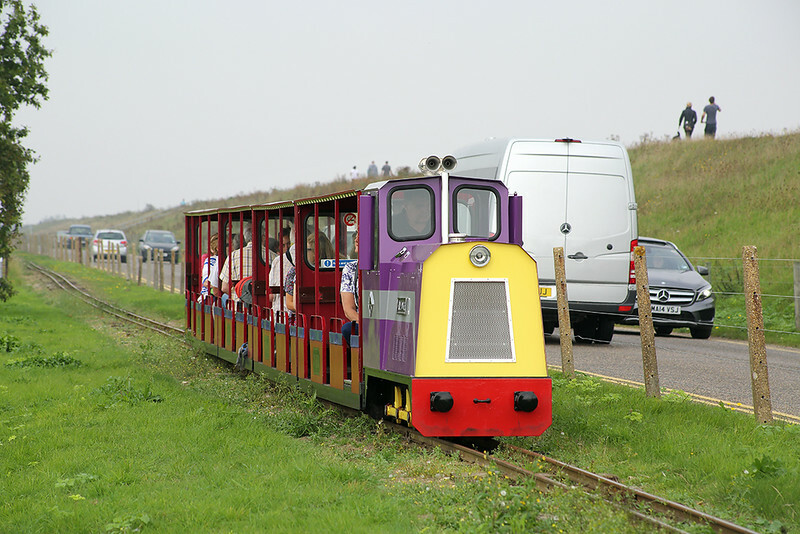 Whilst I had heard of the Wells and Walsingham Light Railway which runs for four miles from the south side of the town I didn't know about the Wells Harbour Railway. I wish I'd had a ride on it as it only takes 20 minutes for a round trip but with plenty of heritage railways in Norfolk I'll have to plan a family holiday to the area some time. Again with the trip to Norfolk being a full day out I went for something less strenuous the next day. With a lovely sunny morning greeting me I decided to either go to Chester and then back through Liverpool or to Penrith and back through the Lake District. Frankly one of those options sounded far more appealing than the other so I ended up catching the train towards Carlisle. What was nice sunny weather changed to cloudy murk over the fells north of Oxenholme. By the time I reached Keswick though the sun was appearing again and so I went for a ride on the scenic route 78 to Seatoller. 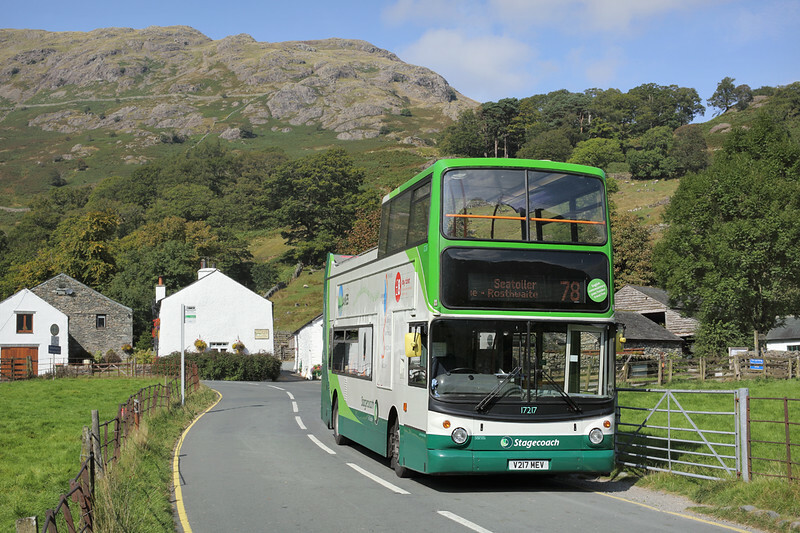 A half hourly open-top service in summer by September it is only hourly on weekdays so I got a few beers and pork pies from the Booths supermarket in Keswick and had a pleasant hour in the Borrowdale valley whilst the bus did a round trip back to Keswick. Now that the season is finishing Grasmere and Ambleside were a lot quieter than my previous visit last month. Having only spotted a new Wetherspoons in Keswick as I was leaving on the bus I shall have to pay another visit soon, even if just for a few beers rather than for photography, I've pretty much photographed all the Lake District open-top services now anyway. This week I've mainly spent catching up processing the previous weeks photographs, my only outing was to Blackpool to try to photograph the old Leyland Olympians that Preston Bus are using for school services in the area. 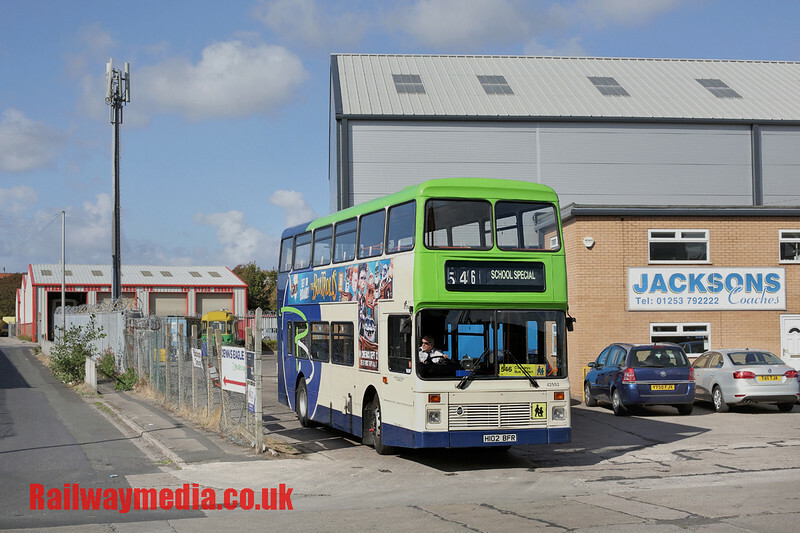 For those that are interested they have six vehicles based at the Jacksons Coaches depot on Burton Road in Blackpool, they depart there in the afternoon between about 1340 and 1420, and the industrial estate road is quite good for photographs. That is about it for September; next week I have a trip to Switzerland planned. This is likely to be my last visit to the Gotthard Pass before the 35 mile long Base Tunnel opens, probably in 2016. 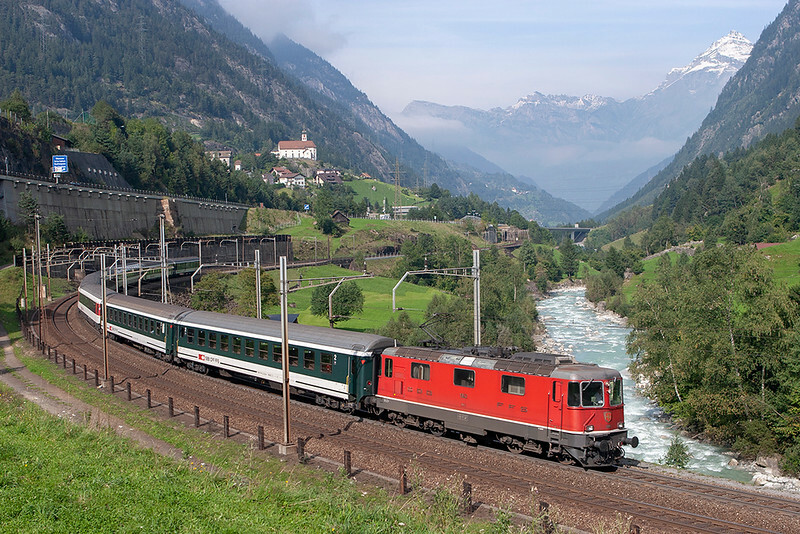 This will be the longest railway tunnel in the world and will take most freight trains off the winding current route from Erstfeld to Bodio via the current 9 mile long tunnel under Andermatt. I visited the area in 2008 staying at the Hotel Frohsinn in Erstfeld which is to be our base this year too. This town has the main depot for the locomotives used to bank the freight trains over the steep route and so will see massive changes once the new tunnel opens. A trip report on this will follow in the next edition of this blog, please keep a look out for it in the next three or four weeks. In the meantime I will leave you with a picture of Wassen, the classic Gotthard view. Thanks for taking the time to read this, bye for now!